Nowadays you cant avoid hearing or reading about internet trolls, they are everywhere and they affect everyone. They are like your problematic friend that appears uninvited to your birthday party and in the end of the day if have no other option than deal with him. 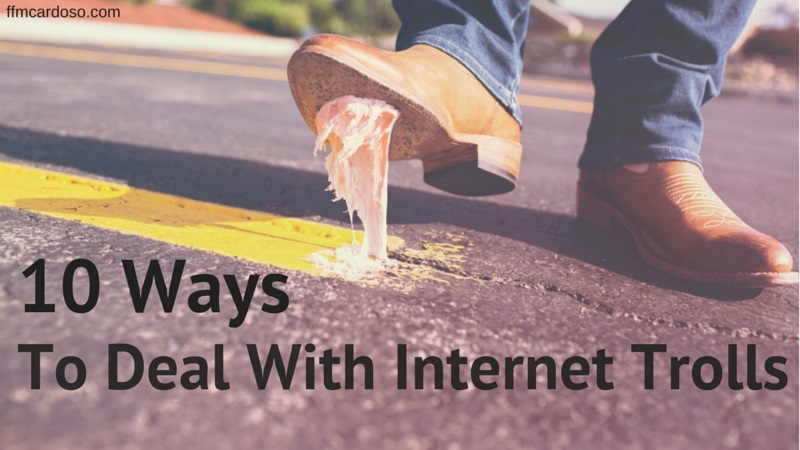 However the way you deal with it will seal the outcome, and there are many different ways to deal with problematic friends and internet trolls. In a recent past have I have been having to deal with a few. As a blogger I have a fairly good amount of visibility and as soon as this post goes online I have no control on where it goes and who might be reading. And what we have to bear in mind is that behind an internet troll there is a person. A person that has a lot more freedom to say and to do whatever they want behind an avatar, a nickname and a computer screen. I have to say that I have been lucky enough to have much attacks directly on my blog but when I explained my method to gain more followers on Twitter, I got some expected bad comments and after that I started to do some research on how to deal with bad comments, reviews and trolls. I have decided to put together a list of the best ways to deal with negative feedback on the internet in order that you can come out of it on the best possible way. This is the first unwritten rule of the internet. It has a few different meanings but I have decided to put this one on the first place because this is first thing that one has to think of. What I mean is, if you don´t want to get attacked by bad feedback try not to write, post, or comment something that might be a good subject to feed trolls. It may be hard to evaluate what could be a good target to trolls, but any sort of political, sexual or religious stuff should be by all means avoided. Also, sports should be looked at on a very careful way, especially if you live in the south of Europe where football is more than a religion. 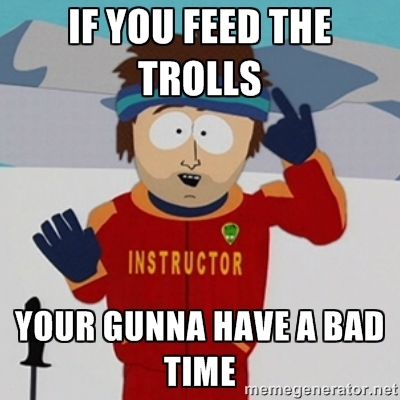 I am a truly believer that on many cases, the best defence to a troll is to plan a well structured attack. However you must be really certain that you want to go down that road. It´s a rocky road and you must be aware of the risks you take. 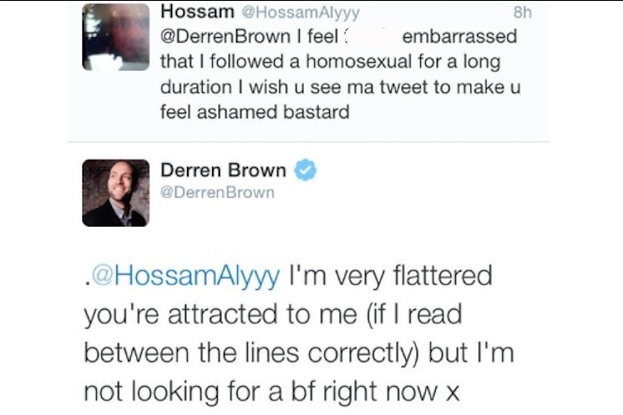 But undoubtedly the best way to beat a troll is to have the funniest, smartest and destructive possible reply. 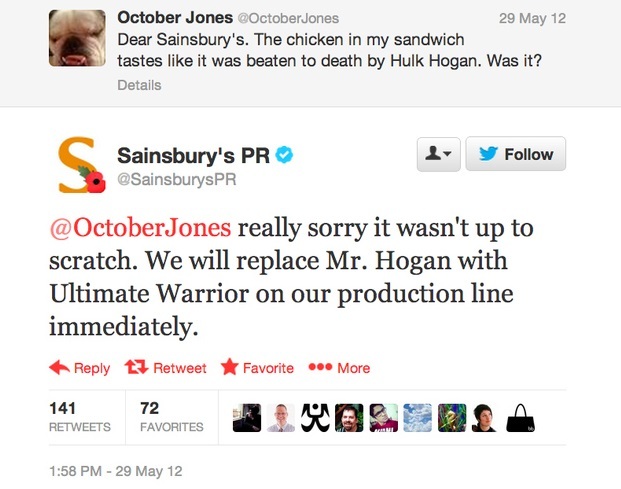 I take my hat to Sainbury´s on this one. 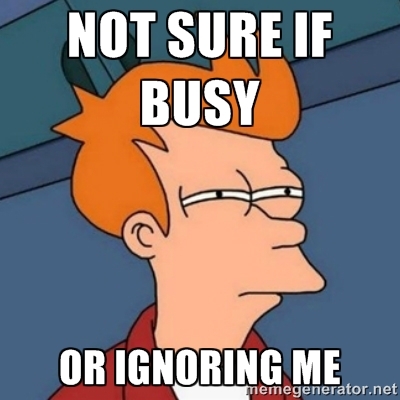 If you don´t feel up to give a proper reply to a troll you always have to option to ignore. In some cases it may be the best option since replying you may be taking the risk of feeding him with more material to continue to troll you. Also, they will never know why you are ignoring them, if you are just ignoring or you actually never seen it, and that will kill them with curiosity. Most of the times, a troll has none or very little knowledge on what their are commenting on. They tend to say that what you just wrote or post is bad because they say it´s bad and there´s nothing to back up. So make sure you let them know you know more than them and make it very clear. In most of the cases they will look pathetic. Because, who really knows more than you won´t even bother to criticise your work, or if they do they will do it in a proper channel with a proper positive attitude. 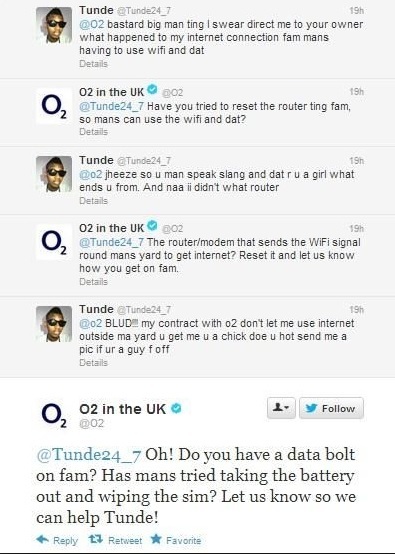 O2 used their knowledge on Internet and slang to reply to this troll. Troll wasn´t happy. If you can´t beat them alone, bring some reinforcements with you. A good strategy to silence down the trolls is to unify your community and have them to help you and support you. If your community is also against the troll will be easier to deal with it and having it to go way. If you have a smaller community you can maybe call some friends to back you up. Someone was accusing Facebook of exploiting Ebola for their own profit and Mark Zuckeberg decided to intervene. I also think that a good strategy to get a troll thrown of guard is to play cool, or by other means making them believe that you were not affected by their attack. If you can make it look funny or ridiculous for the troll it´s even better. 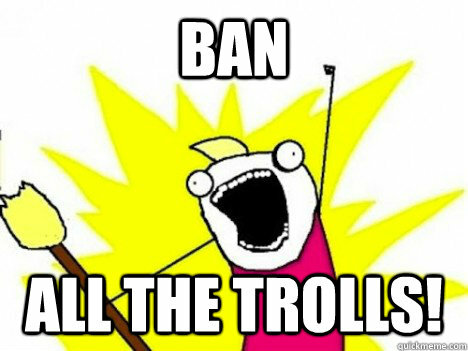 If it´s applied ban the troll from you community, block or delete them. If you have the chance to block their access to you, don´t hesitate to do it. Remember that they are troll for sport, if you ban them to play their sport, they won´t be happy. If they´re sad, you´re happy. This is somehow a way to troll a troll. Hellbanning is a method used with help of tools that allow you to ban troll without him knowing. Meaning this that his comments are only visible to him. He will keep posting and the community won´t see it. I can imagine a troll being very frustrated with this. If you use wordpress, you can try this plug in. If you run a website and you want to annoy your trolls, you can slowban them which is basically making the website running really slow for them. Getting to a new page will be as painfull as watching paint drying on wall. In this case, the pages of your website run smoothly however they will have random errors or will crash at times creating some annoyance on the troll. You cant avoid your exposure to bad comments or negative feedback, even if you are just commenting on a Facebook page you are taking risks of being trolled. It´s rather important to deal with this sort of attacks online. It´s important to have a good comeback in order to avoid some sort of snowball or bad image, so make sure you think wisely before you answer to a troll. I hope you can get some ideas for the next time you have to deal with a troll. What are your experiences dealing with trolls? Have you used any of these methods? Or which other one would you add? I’d love to know more about the tools that I could use to Hellban, Slowban or Errorban. They sound like a lot more fun than simply ignoring the trolls. I will upload this to the orginal post actually, it makes sense. Thanks for pointing that out.